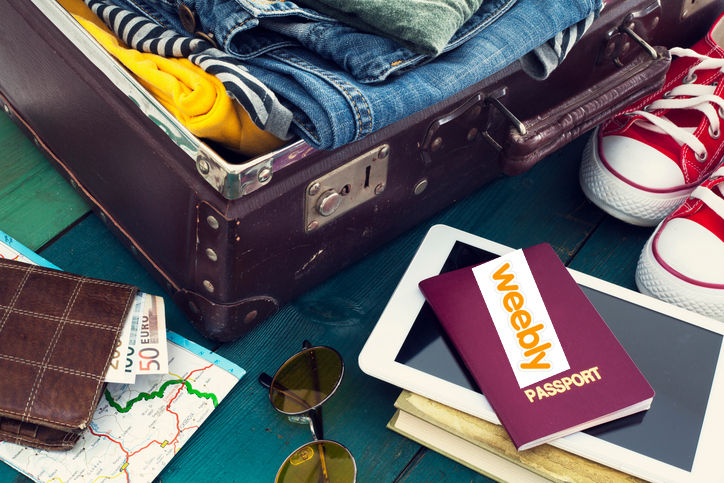 Website builder Weebly announced a new partnership with TravelClick who helps hotels maximize revenue through technology. As competition in the website space heats up, companies are continuing to find creative avenues to push father into specific verticals or niches. Travel and hospitality websites continue to gain popularity and are a requirement for businesses in 2017, especially with mobile becoming such a big part of online travel booking. According to eMarketer.com over 48 million US adults will book trips through a mobile device and that trend is expected to grow by around 10% year over year. Weebly’s website builder specializes in not only building clean websites but also has full responsive websites that work across devices. Mobile responsive websites scale to the screen size they’re being viewed on and eliminates the need for having 2 different websites, one for desktop users and the other for mobile devices like tablets and cell phones. Weebly also showcases various other features important to travel websites including online booking and video. Founded in 2007, Weebly is a complete platform that allows anyone to start and grow an online business with curated website templates, powerful eCommerce and integrated marketing. More than 40 million entrepreneurs around the world use Weebly to grow their customer base, fuel sales and market their idea. Designed for any entrepreneur who wants to reach a global audience, Weebly gives everyone the freedom to create a high-quality site that works brilliantly across any device. Weebly offers a range of pricing options, including free and premium consumer plans, as well as enterprise offerings and is consistently the highest-rated website building mobile app in the App Store and Google Play. Weebly is based in San Francisco and its investors include Sequoia Capital, Tencent Holdings, Baseline Ventures, Floodgate, Felicis, Ron Conway and Y Combinator.